The trench coat is the type of coat that can easily become an outerwear staple for any women. Easy to match and very elegant, this type of coat looks absolutely extraordinary on many occasions or events where you might attend. But, in fact, what is a trench coat? Well, if we speak in classic terms, it is a raincoat made of waterproof fabric. Obvious, starting with this aspect, the trench coat suffered a lot of modifications during time. Actually, at first, the trench coat had a strictly functional role, according to the above description. It is said that, initially, the trench coat was used by women in 1928 starting with Greta Garbo in the movie “A Woman of Affairs”. Years had passed and, as I was already saying, this type of coat had suffered many changes, all into the benefit of today’s style. Whether you choose the classic beige or black trench, or a more nonconformist one, you will definitely be noticed by everybody around you. And you should keep in mind very carefully that the trench coat has to be longer than the coat you are wearing under it. Its length has to be maximum 10 inches above the knee. 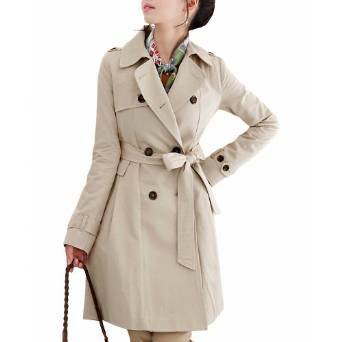 Trench coat is a piece of outfit that can’t miss from your closet because it is refined, elegant and stylish. – A great trench must have an overall fitted appearance that still permits your body to move freely (comfort is an important issue), for sure it must yo allow you enough room to be versatile to wear over a suit jacket, a sweater or a top underneath. This aspects are very important because you will wear it mostly at the office. – Preferred sleeve lengths vary. Sleeve length should be very well balanced. – Be creative with the colors, you must choose a perfect color for your possible look which includes this coat. 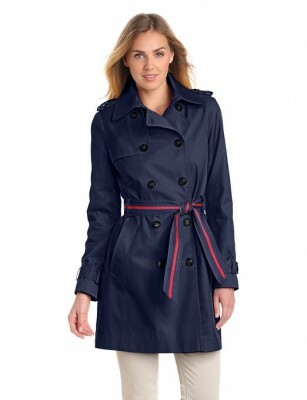 – Choose a quality brand, a trench coat is a little investment you do not buy one piece every season.